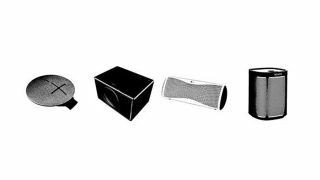 How to choose the right wireless speaker | What Hi-Fi? There's one for everyone, but which is the right one for you? Wireless speakers are notorious for prioritising convenience over sound quality, but the tide has long since turned. Retaining the ease of use, simple connectivity and funky designs that make them so popular, wireless speakers have now evolved to deliver excellent sound quality – the best are almost good enough to be called hi-fi. Today’s wireless speakers are clever products with personal voice assistants and latest streaming technologies inside - they even look like luxury products, too. Taking note of new design trends and how people listen to music, they now incorporate features like waterproof designs, multi-room ability, long battery lives, voice control and the likes of Spotify Connect. And they can sound great. But with such a vast variety of wireless speakers available on the market, how do you pick the one that's best for you? Allow us to help you narrow things down. Before we even begin to get technical, the shape and size of your wireless speaker is something that will dictate how you use it. Wireless speakers come in all shapes and sizes: they can be big, boxy units; they can be small and cylindrical. Some are built to be rugged and waterproof, others put style and design high on their priorities. They can even look like 1920’s airships. The point is, wireless speakers can look like anything and come in any size. The question, then, is what will you use yours for? For your bedroom, a sensibly-sized speaker like the Sonos One or Audio Pro Addon C3 is ideal. If the speaker will take pride of place in your living room, larger, eye-catching units like the B&O BeoPlay A6 or Naim Mu-so Qb make quite the statement. If you want everyone to enjoy an even spread of sound, have a look at omnidirectional speakers such as the Apple HomePod or anything from Ultimate Ear's range of wireless speakers. After something more portable? Try the Dali Katch, Tivoli Andiamo or the Ultimate Ears Megaboom 3. If you’re the adventurous type, the Roll 2 or JBL Flip 4's rugged, waterproof build will withstand all manner of knocks, bumps, rain and mud splashes. It will fit into your rucksack, too. Will it be your main music system? On the other hand, if you’re looking for a wireless speaker to be your main music system, be prepared to spend some cash. And make space in your room. Speakers such as the B&W Zeppelin Wireless and Naim Mu-so may cost a pretty penny (upwards of £500), but their sound quality is worth it. They’re a viable alternative to a dedicated hi-fi system, coming packed with plenty of streaming and playback features, and make a great style statement in your living room too. You’ll want to temper your sonic expectations depending on the size and price. Don’t expect huge, room-filling, dynamic and articulate sound from a small, portable speaker like the Jam Heavy Metal or even the Award-winning Dali Katch. Do expect it from the more ambitious Naim Mu-so, though. Is portable better? Well, portable speakers have a rechargeable battery, so you’re not tied to a mains socket. You can simply pick up the speaker and take it with you. Depending on how big it is, that might mean to another part of the house, into the garden, or all the way to the beach or a summer festival. Take note of the speaker’s battery life. Four hours is fine if you’ll be listening in your own garden, but you’ll probably want eight hours or more if you’re taking it with you on holiday. It defeats the point of a portable speaker if you have to keep plugging it into the mains every few hours to charge it back up. Portable no longer means cheap, either, not in build quality or price. The ultra-portable and rugged Ultimate Ears Wonderboom lasts for ten hours, while the sleek Dali Katch clocks in an impressive 24 hours on a full charge. Mains-powered speakers, inevitably, are more restricted and tend to work best for speakers that stay at home, such as the Sonos' range of speakers. They’re usually bigger and more expensive than portable ones, too – the Devialet Gold Phantom, B&O BeoPlay A6 and Naim Mu-so are cases in point – and are demanding enough to need a constant source of power to drive the speakers and reach their full performance potential. How will you stream your music? Once you’ve decided on what your wireless speaker will look like, where it'll live and what it'll be used for the most, the next thing you need to think about is what streaming method is the best one for you? How will you be sending music from your smartphone or laptop to the speaker? Will you be sticking with standard Bluetooth? Are you invested in Apple's ecosystem and therefore only need AirPlay? Or are you thinking of a multi-room system? Most wireless speakers come with either one or a combination of wireless methods, so here's a rundown of the main streaming protocols you'll want to look out for. Bluetooth is the most common tech you’ll see in wireless speakers. It's the quickest and easiest way to let your devices talk to each other wirelessly, taking only a couple of seconds to pair your smart device to your wireless speaker. You'll find Bluetooth in nearly all wireless speakers (it's usually the sole method of streaming in portable and affordable models), as well as on most smartphones, tablets and laptops. Bluetooth also doesn’t care if you’re an Apple or Android user. It doesn’t pick favourites, so everyone with a smart device can use it to stream songs. Standard Bluetooth has a range of about 100 metres, but use a speaker in the house (with all the walls and other obstructions) and this range drops noticeably. Indoors, you can rely on a range of around 10 metres or so. Bluetooth also comes in a variety of flavours - aptX and aptX HD are capable of playing CD-like and better-than-CD audio quality (you'll need compatible sources, though). And the upcoming Bluetooth 5 claims to be more powerful, offering faster transfer rates and greater range. AirPlay is Apple’s own way of streaming files wirelessly and, as is Apple's way, it works only with iOS products. Still, that’s useful if you live in an Apple-only household. In terms of set up, AirPlay piggybacks your home’s wi-fi network, so just make sure your iPhone, iPod or iPad and your wireless speaker are on the same network, and you'll be streaming in no time. While AirPlay-only speakers have long gone out of fashion (like 2011's B&W Zeppelin Air) you'll find it now added to most wireless speakers' long list of features. The latest version, AirPlay 2, now allows for multi-room audio across multiple speakers, too, and you'll find it Libratone, Devialet, B&W, Naim and Sonos speakers, amongst others. If your wireless speaker has an ethernet port and/or built-in wi-fi, you can plug it straight into your home network. The advantages? You can stream higher-than-MP3 quality tracks from any source that’s also connected to the same network, such as your smartphone, laptop or your Network Attached Storage (NAS) device. So if you’ve got a digital library full of CD-ripped and hi-res files in FLAC, ALAC or WAV formats, you might want to look into wireless speakers that support the higher resolution. The Naim Mu-so, for instance, supports hi-res music streams of up to 24-bit/192kHz audio. These kinds of speakers are not yet as widespread, and they will be pricey, but it's worth seeking out if you want a convenient but top-notch wireless music system. If you’re an avid user of Spotify, it’s worth looking for a wireless speaker that lists Spotify Connect as one of its features - an increasing number of speakers to do. These speakers have Spotify embedded in them, meaning songs won’t be streaming from your smartphone app but straight from Spotify's own servers in the cloud. This frees-up your smartphone for all other uses (you can make calls without interrupting the music, for instance) and doesn’t drain your phone battery either. Another useful feature is the ability to switch between connected sources, and send songs from one speaker to another with a quick button tap in the app. It’s a nice feature that makes a big difference once you start using it. You'll need a Spotify Premium subscription (£9.99/month) and to be connected to a wireless network to use Spotify Connect. Apple Music vs Spotify - which is better? Most wireless speakers these days have some form of multi-room ability, or at least have the ability to pair two speakers together to double up the sound or use in stereo. Sonos and Audio Pro are the gold standards for proper multi-room streaming across your home, but plenty of speakers offer similar abilities, so why not turn your home into one seamless music hub? The more speakers you buy, the more you can dot around the house. Link them all up and you need never miss a second of sound. You can also arrange it so each room is playing a different song – perfect for a music-loving family. The success of a multi-room speaker rests in no small part on its app, from how easy it is to connect to your network to how it organises your music. A seamless app experience has kept Sonos ahead of the pack, though Bluesound is a decent alternative if you're after hi-res audio playback. And let's not forget the latest trend on the technology block: smart speakers. Wireless speakers with voice control built in, using one of the many personal assistants currently available (Alexa, Siri, Google Assistant), smart speakers are becoming increasingly popular. If you want a smart speaker solely for the 'smart' aspect of it - controlling your music and elements of your home using voice commands has certainly caught people's attention - then smart speakers like the Amazon Echo and Google Home are ideal for adding a touch of sci-fi to your home. You can link them up for multi-room audio, too. They're not the best sounding speakers, though - unless you opt for the pricey Apple HomePod. So if sound quality is your top priority in a wireless speaker (as it should be) but you still want the voice control aspect as a fun addition, all is not lost: new speakers such as the Sonos One and Ultimate Ears Megablast offer a fantastic sonic performance while also having Alexa voice control built in - it's the best of both worlds. Alternatively, you can simply add a tiny puck-sized Amazon Echo Dot or Google Home Mini to give your main music system a dash of AI. There’s a lot of choice out there. A lot. But now that you’re armed with all the knowledge, picking your next wireless speaker should be plain sailing. To start you off with your future purchase, why not check out our list of best wireless speakers - you'll find one for every type and every budget.